Make a difference by hosting a Vinnies Community Sleepout or a Vinnies School Sleepout. What is a Vinnies Sleepout? Vinnies Sleepouts give you a glimpse into the realities of homelessness by ‘sleeping rough’ for a night to raise awareness and funds for Vinnies homelessness services. This experience challenges your sense of home and offers unique insights into the complex issues faced by people experiencing homelessness. Vinnies Community Sleepouts are for community groups and Vinnies School Sleepouts are for primary school, high school and university groups. 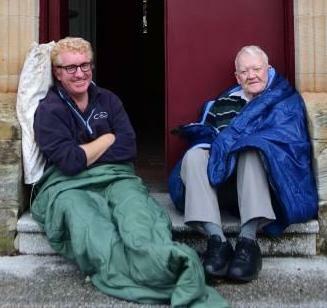 Vinnies CEO Sleepout is for senior business leaders. To learn more about Vinnies CEO Sleepout please visit www.ceosleepout.org.au. Get involved to help us spread awareness about homelessness, raise much needed funds for Vinnies homelessness services and secure affordable housing for all Australians. Over 105,000 Australians experience homelessness each night. Half of these people are women and a quarter are young people under the age of 18. Do something about it by hosting a Vinnies Sleepout to break the cycle of homelessness. 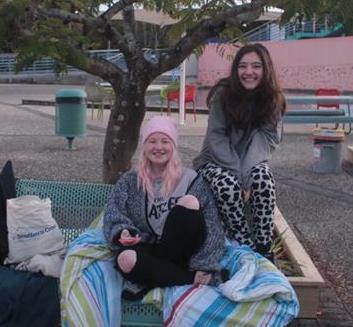 Follow these easy steps to kick off your Vinnies Sleepout. These will give you all the information you need host a successful Sleepout. Download our Vinnies Community Sleepout Information Kit here. Download our Vinnies School Sleepout Information Kit here. Complete our Fundraising Application Form here to tell us what you're planning. Set up your online fundraising page, check out our helpful resources and start planning your Vinnies Sleepout. Don’t worry, we're here to support you every step of the way. Get in touch with our Community Fundraising Coordinator at 02 9568 0211 or events@vinnies.org.au if you have questions or would like more information.